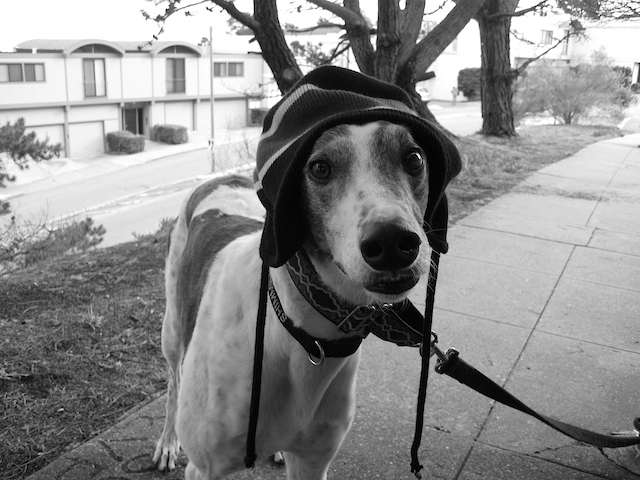 Image | This entry was posted in Greyhoundness, Photography and tagged dog, funny, greyhound, hat, hipster, photography, shimmer, winter. Bookmark the permalink. I would live to have a coffee table book of just photos of Shimmer. One because he is photogenic and his personality shows through each photo, but you and Joan have opened up our eyes to the works of rescued greyhounds. I know not all are as lucky, but I have fallen in love with greyhounds.